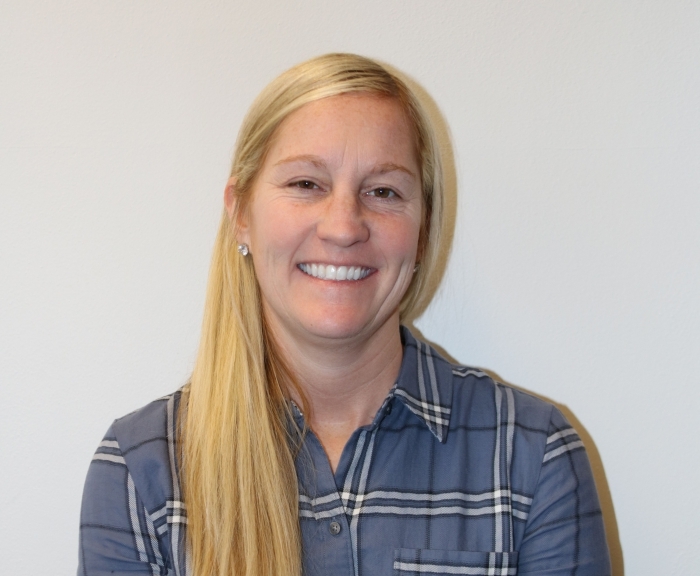 Amy Molloy has been named the new Middle School Principal following the retirement of Carolyn Shirley from the position in early January. Molloy grew up in the Syracuse suburb of Nedrow and graduated from Onondaga Central Schools. She attended LeMoyne College where she studied English and Education and following graduation from there she accepted a teaching position at her alma mater where she taught for 13 years. In 2010, she decided to enter the CAS program at LeMoyne and after receiving her administrative certification she worked as a summer school administrator for OCM BOCES for four years. One of her experiences there was working for a Leadership Academy at the middle school level to connect learners back to academics and she particularly enjoyed working with students in that age group. In 2016, she took a position in the Rome School District at the high school level for two years before moving to a position at the elementary level. When the position at Sandy Creek was advertised she knew she wanted to get back to the middle school level and the opportunity to work in the small, rural district appealed to her as well. Growing up in a similar community, the position at Sandy Creek was particularly appealing to me, said Molloy, and after interviewing said the district was a perfect fit for her. Molloy believes her experiences in education have exposed her to a variety of students and prepared her for all aspects of the position at Sandy Creek. Coming in the middle of the school year, her plan for the remainder of the year is to keep things focused and consistent. We already have a lot of great things implemented, she said. as the year goes on, I will look to the staff and students to get feedback about any changes that they feel we need to make. In the meantime, Im looking forward to building relationships with students and staff and getting to know the community. Everyone has been so welcoming. She and her husband make their home in Clay where they enjoy outdoor activities with their dogs, who love the snow and love swimming. They also enjoy traveling and spending time with family.